Replacing the loop frame dual seat with a solo personalizes the V-700 / Ambo / Eldo but leaves the rear fender and grab-handle tabs exposed. 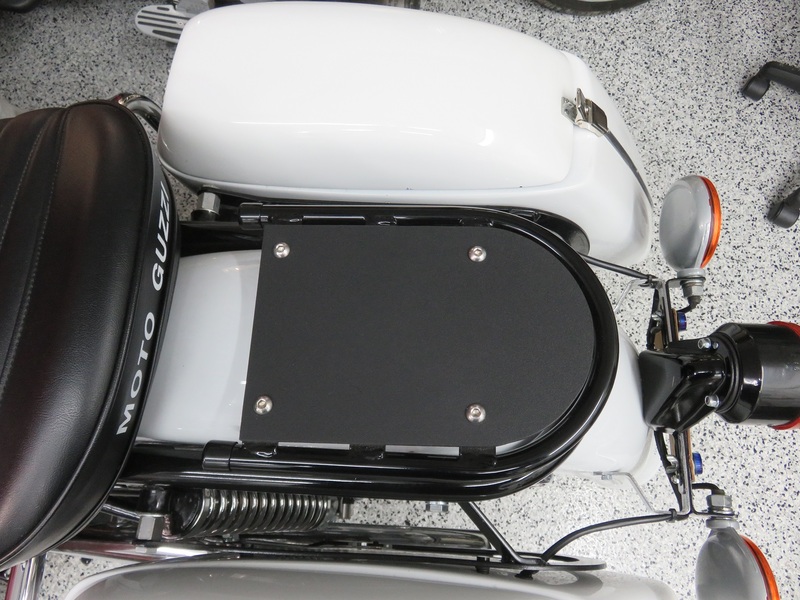 If a luggage rack is installed without a pillion the look can be cleaned up by adding a black cover to the top of the rack. I used a black 12 inch × 12 inch King Starboard plastic sheet 1⁄4 inch thick from Boat Outfitters fastened with 8 mm polished stainless button head bolts. The rack cover template is full size. Harper's luggage rack to fit behind solo seats. Applicable to Moto Guzzi V700, V7 Special, Ambassador, 850 GT, 850 GT California, Eldorado, and 850 California Police models. Cover to fit the luggage rack. 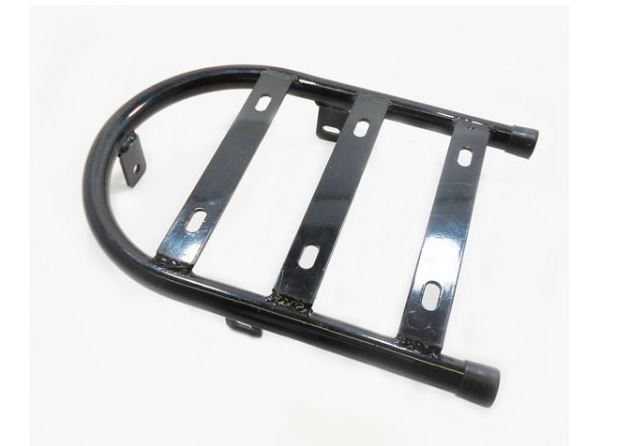 Applicable to Moto Guzzi V700, V7 Special, Ambassador, 850 GT, 850 GT California, Eldorado, and 850 California Police models.